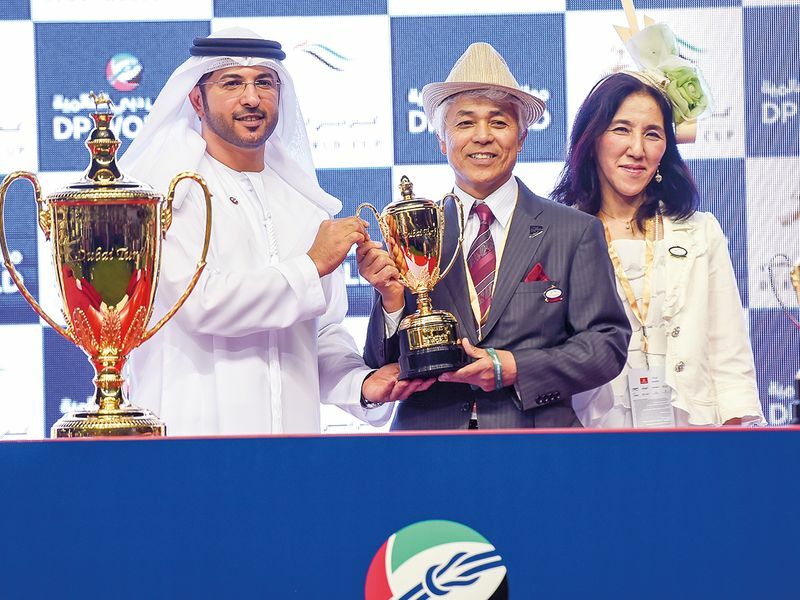 Dubai: Almond Eye, the pride of Japan, showed just why she is regarded as one of the best middle-distance horses in the world as she cantered to victory in the Dubai Turf at Meydan. The winner of her last six starts in Japan, including four at Group 1 level and most recently the prestigious Japan Cup, Almond Eye gave Christophe LeMaire, her long-time rider an armchair ride to victory in what was the joint-richest turf race in the world. 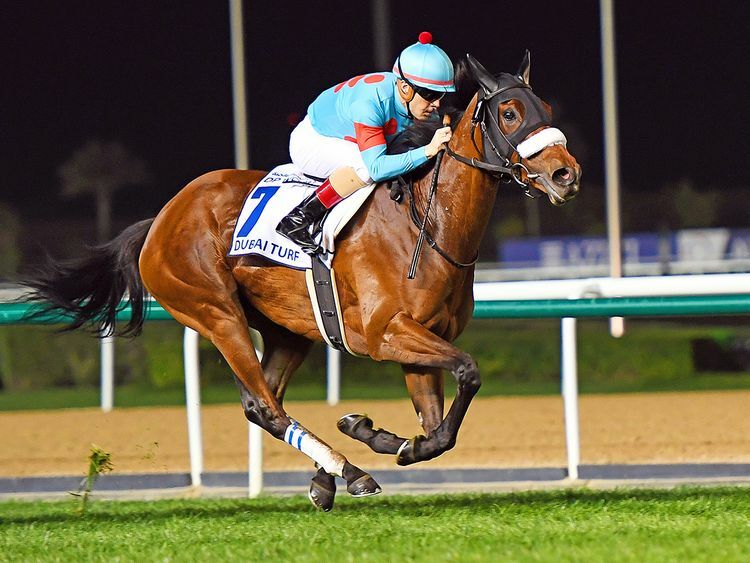 There was never a doubt about the outcome of the 1,800 metre contest run on the inside turf track at Meydan as the four-year-old daughter of Lord Kanaloa was always travelling well within herself in midfield during the early stages. Vivlos, winner of this race two years ago, had the first run to the line, but as the distance shortened Almond Eye’s strides lengthened and she finished the race without even breaking a sweat. Vivlos, ridden by Mickael Barzalona, stayed on for second while Lord Glitters did the best of the Europeans when finishing third. 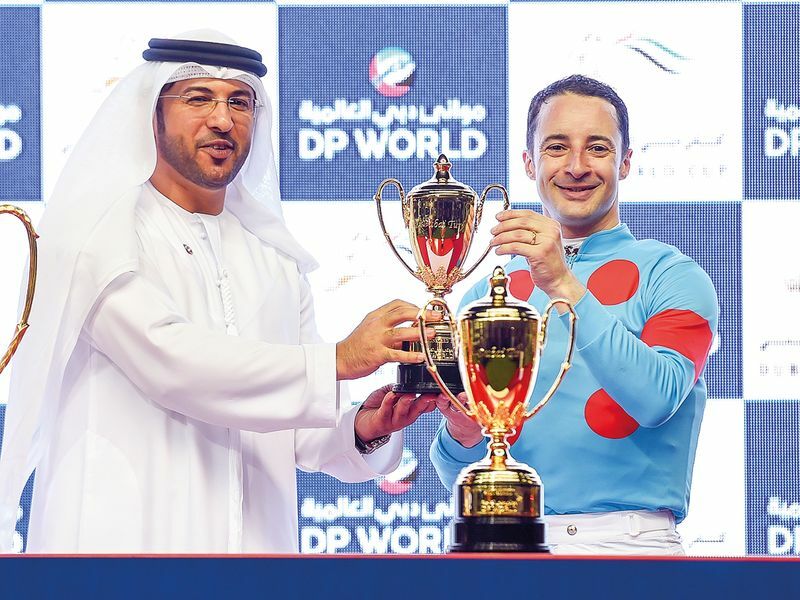 LeMaire, who is no stranger to success in Dubai, having ridden Heart’s Cry to win the Dubai Sheema Classic to victory in 2006, said: “She has a long season ahead and she will have bigger fights. “Today I’m very glad the job is done — let’s look forward now. “She broke well and I could take a good position. She was very relaxed and used her powerful stride at the end. She was brilliant. When asked what it felt like to be aboard such a superstar, an equine machine, LeMaire added: “You must be confident whatever happens. These are big challenges but with these kind of horses, you can afford a lot. Almond Eye also became the fourth Japanese-trained winner of the race in the last six years following on from Just A Way (2014), Real Steel (2016) and Vivlos (2017). The Prix de l’Arc de Triomphe, Europe’s most prestigious race which is held at Longchamp, France, is the likely end-of-season target for Almond Eye, who has been installed as the 5-2 ante-post favourite for the race. Almond Eye’s handler Sakae Kunieda, said: “I’m relieved. My head was spinning after that win ... and lot of media was asking so many questions. I’m really happy. I knew she was the special one. “She has been in best condition in Japan but we were only worried about the recovery which she did. She had good start and then she was in the middle then Christophe took her to the side and I knew it was a good position.